In keeping with the Super Hero theme, enter to win a $25 gift certificate to the fabulous Gabby and Zack! 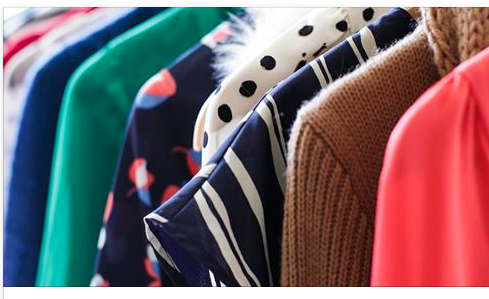 This darling Etsy boutique was created from "...(a) love of graphic tees and knit fabrics, soft and comfy clothing and seeing kids in unique clothing that is play and party ready." If you are participating in my Super Hero Event or just like really cute unique clothes, go ahead and enter to win! 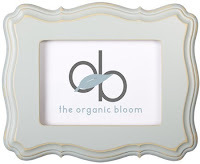 In addition, she is offering a 10% discount code to anyone who makes a purchase! Awesome! Use code "jennhoffmann" at checkout! 2. Come back to this blog post and leave a comment saying you did so. 3. For a bonus entry, check out her Etsy Shop and then leave a second comment telling us which item is your favorite! What little boy (or girl!) doesn't like to dress up and pretend to save the world!?! Now you can capture that playful imagination in pictures and tell a wonderful story! After our session is through, they WILL believe they are a real Super Hero! 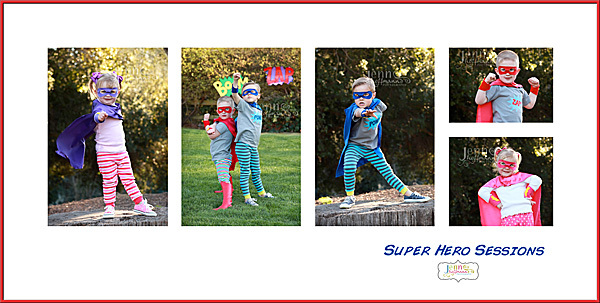 Introducing my exclusive "Super Hero" Styled Session Event... these FUN sessions are perfect for a single child, siblings, cousins and/or best friends to PLAY in front of the camera! The final product can also be gifted to that fantastic "Super Hero" Dad for Father's Day! The charm of this event is that they are not a specific Super Hero (i.e. Batman, Super Man, etc. )- but their own made up version of someone who can travel at the speed of light! 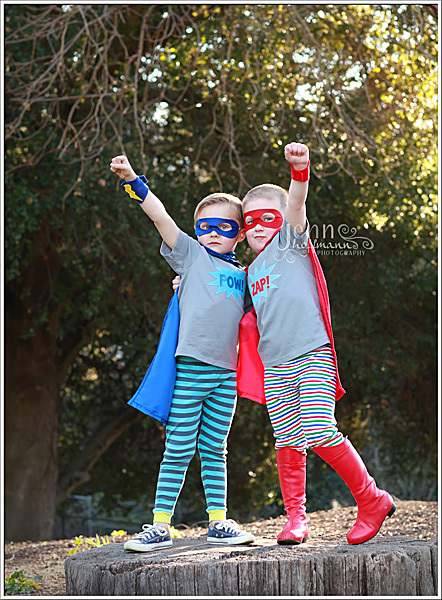 * children under two may receive a slightly different cape "set"
I will assist you with the styling for your children and point you in the direction of a few of my favorite "super hero" vendors. 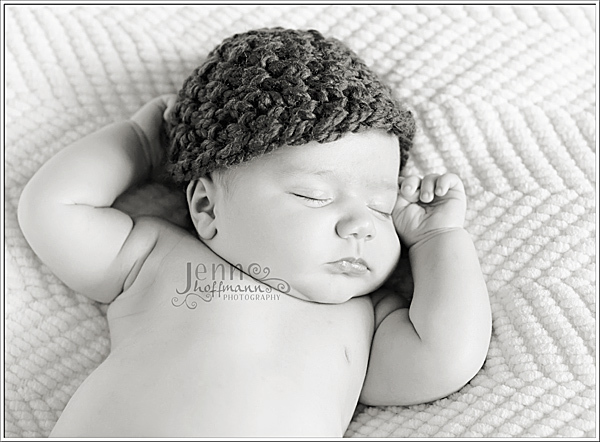 Email me at info@jennhoffmannphotography.com with your top two time choices to book a session! 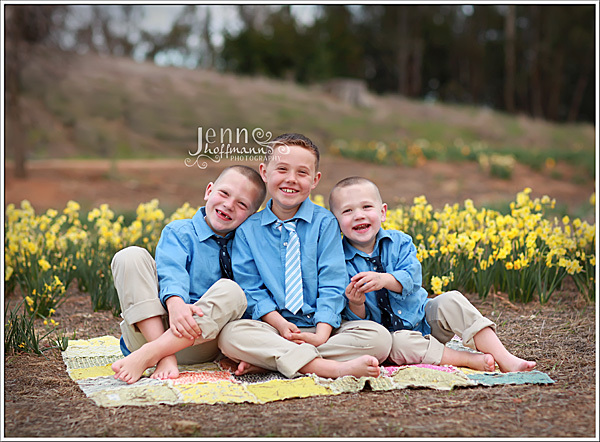 Here is a "Storyteller Slideshow" of my Daffodil Hill Mini Session Day! 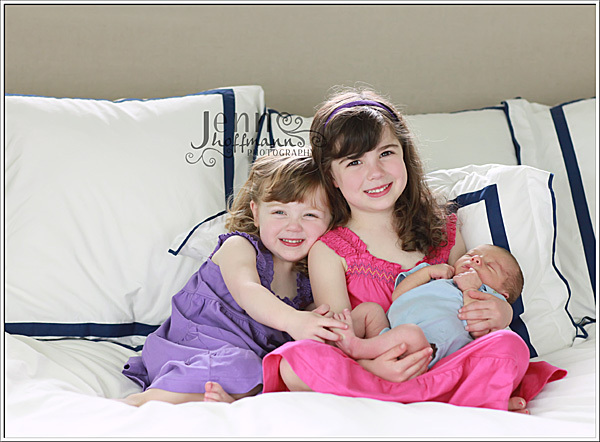 I've included a few of my favorite images from each family! Enjoy! I enjoyed my morning session at 5 month old Baby K's house today! She was sweet and smiley and has the most gorgeous, big eyes ! 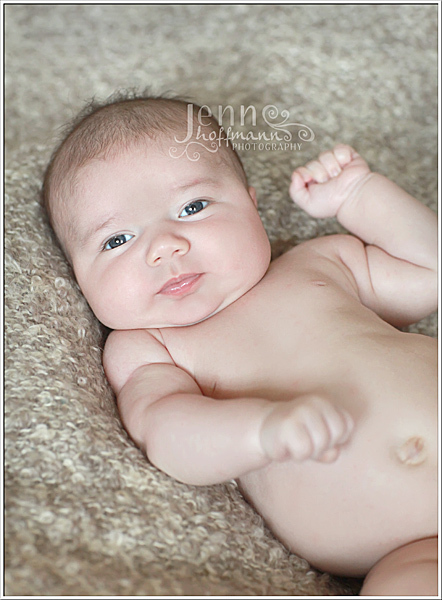 She also was a HUGE surprise to her Mom and Dad when she came three months before her due date! 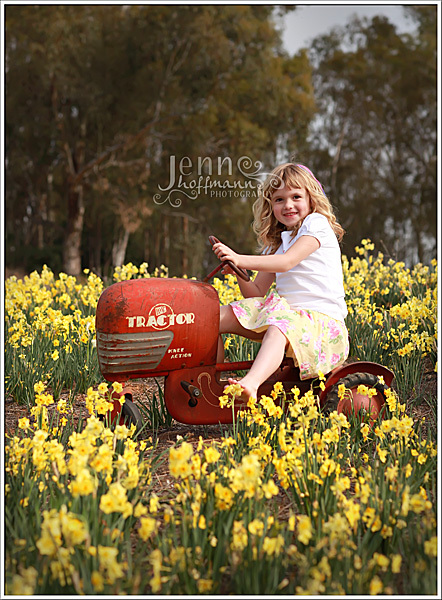 After the Daffodil mini sessions yesterday, I was inspired to take some Spring pictures of my own kids. So I dragged them and the tractor out in to a field... let's just say they are BY FAR my worst "clients". 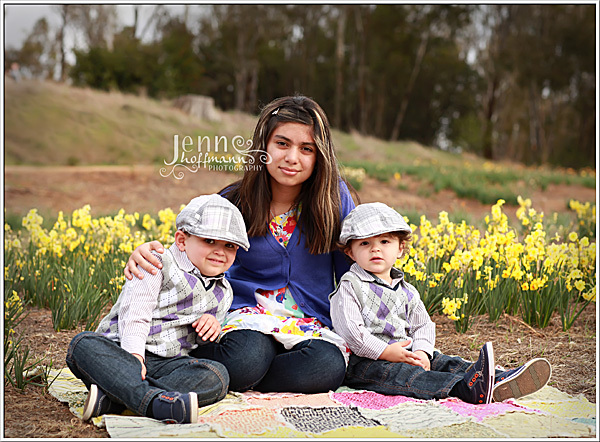 Love them to death but they aren't the most cooperative for me in front of the camera. 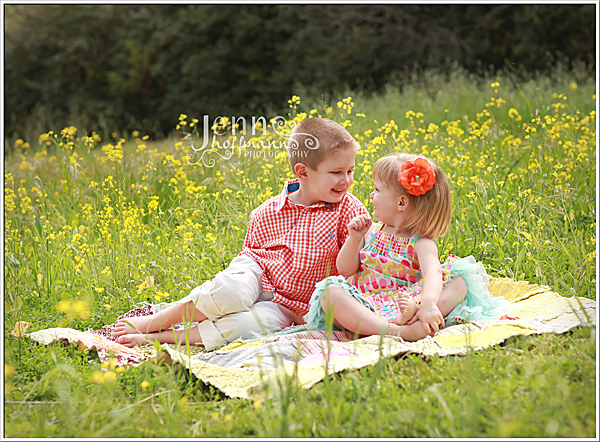 Despite their best efforts, I did manage to capture some gems with the promise of a popsicle or two! 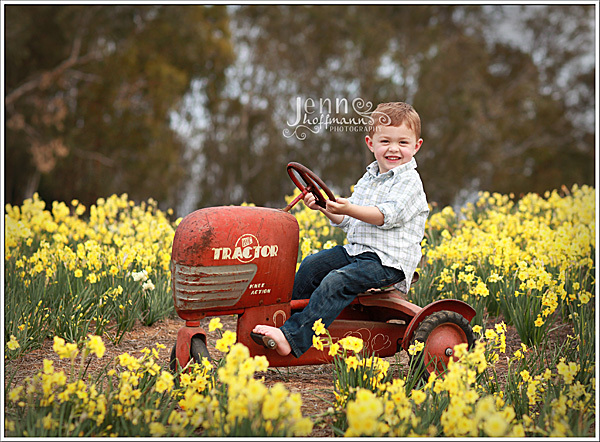 My Daffodil Hill Mini Sessions in Livermore were rained out originally and were rescheduled for this evening. I was worried that the weather would be a factor again, but it was actually somewhat warm and perfectly overcast! 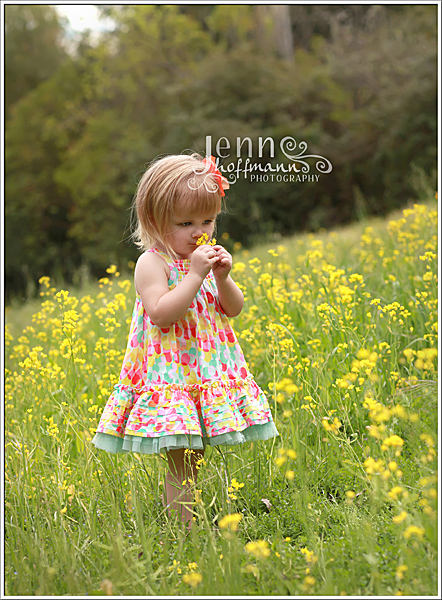 We had a great time playing amongst all of the flowers! It was fun to have a mix of both returning clients and new ones! 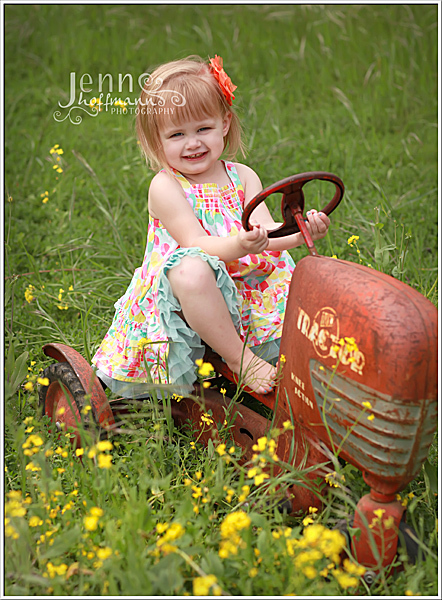 I love so many of the images we got tonight; it was really hard to pick a few to Sneak Peek! This little guy blessed his family after two girls! 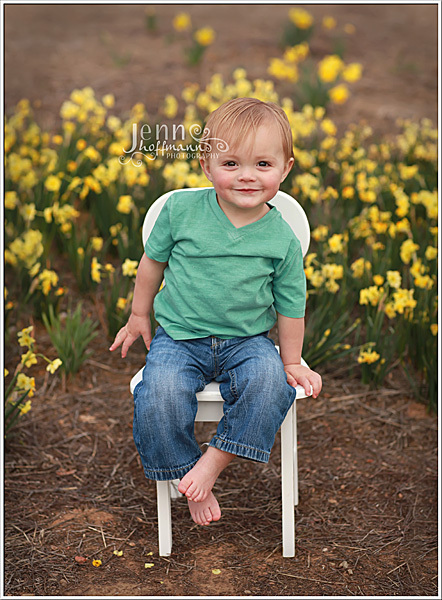 Big sisters were very proud of him and certainly didn't mind being in front of the camera! Thanks for letting me spend the gloomy, rainy morning with you "S" family! I must say this was a VERY hard decision! All of the themed session entries were terrific- and all so different! But I had to choose one, so the winner is... Deborah Fields! 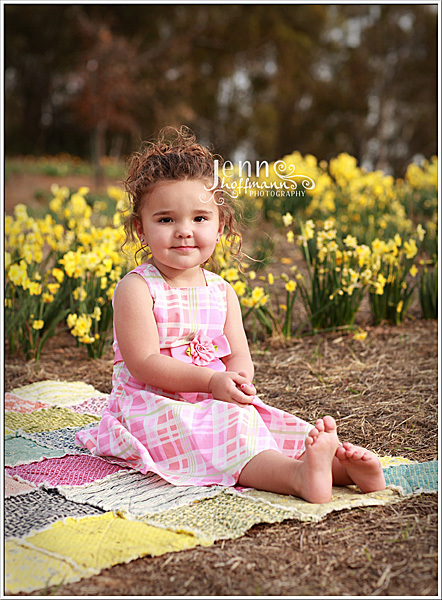 She came up with the idea to do "A Light-hearted Old Fashion Family Picnic". The link to her board can be found HERE. I can already envision it... and it will be a step out of my own box as I don't typically shoot with a vintage feel! Such fun! 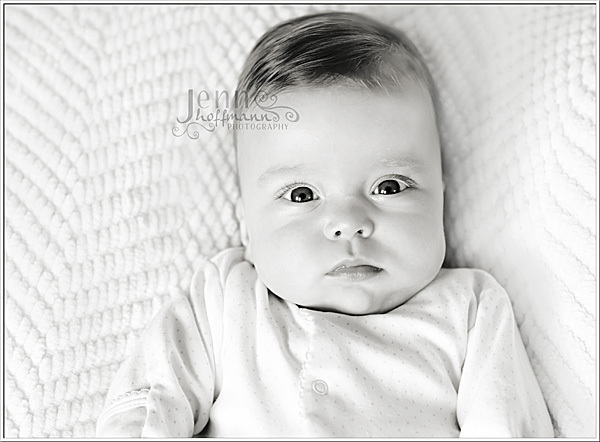 Deborah, please contact me (info@jennhoffmannphotography.com) and we'll be gin to work on getting your FREE session ready! This little guy is 8 weeks old! 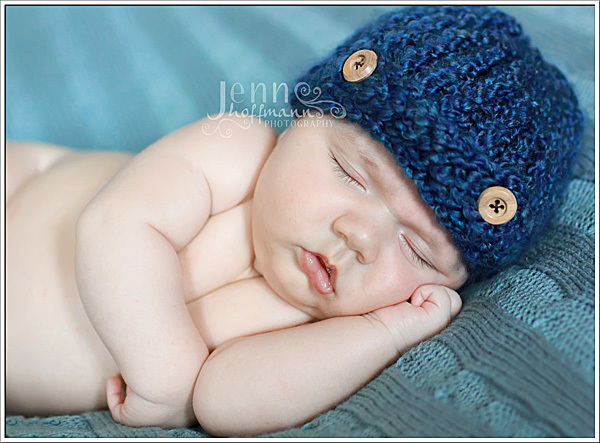 There is so much of a difference between a newborn at 5-10 days and an older newborn at a few weeks of age. They are much more filled out, their skin is smoother and there are real smiles! 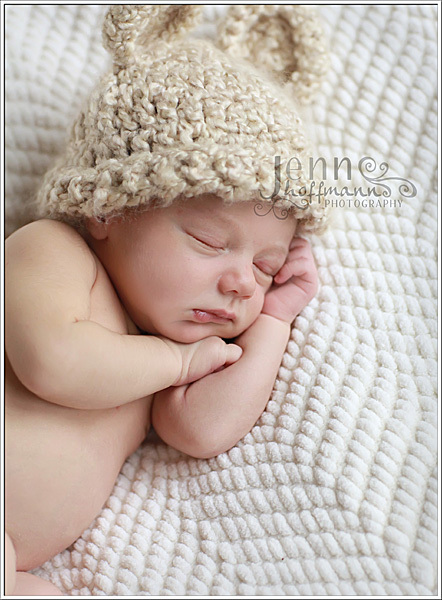 And Baby "T" was a sleeper too; we got some great shots, some cute poses and even got him in a bucket! Congratulations "O" family- enjoy your sneak peek! 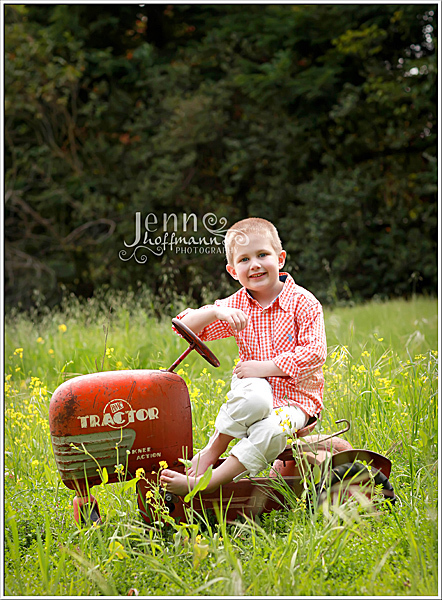 Introducing the "Storyteller Slideshow- the story of your session, your family...your life!" 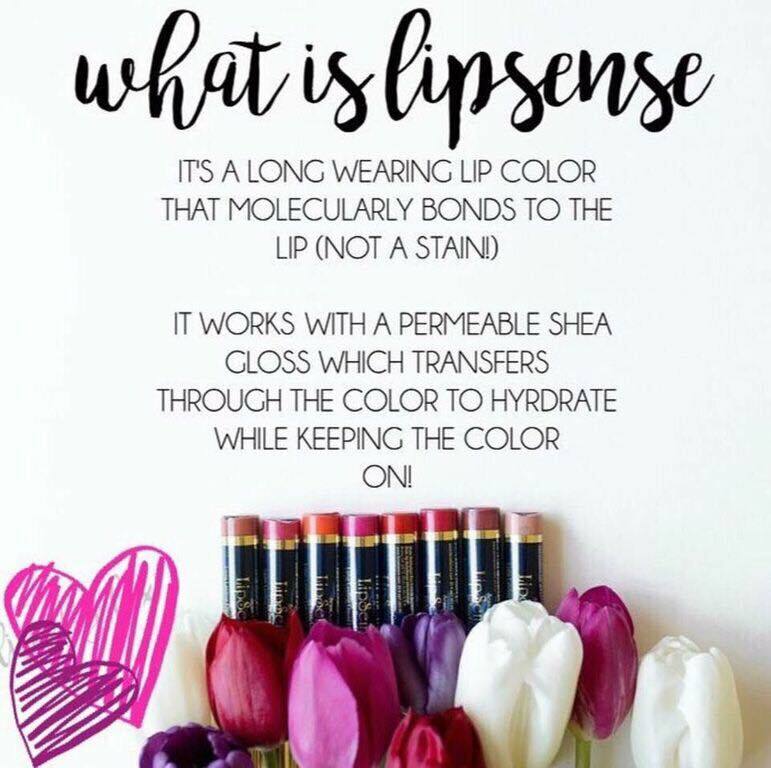 I am so happy to add this to my line up of products that I offer! 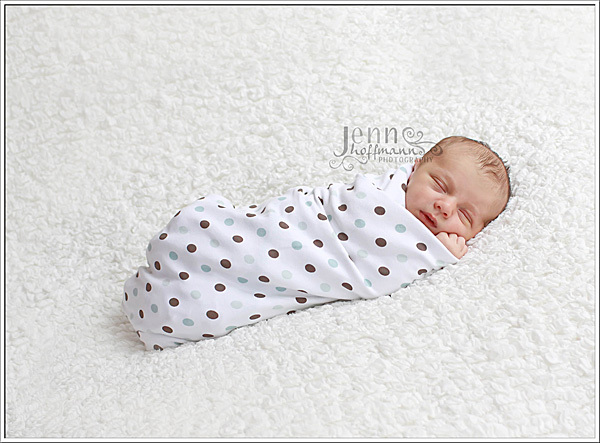 This slideshow incorporates all of your gallery images PLUS video shot during your session (ANY session- newborn, single child or family!)! It is all beautifully presented and set to music. Talk about a keepsake! Contact me for more details and to set up a session today!